5% Off App Hotel Bookings at Expedia Save yourself 5% off when you book through the Expedia app today. 30% Off Easter Activity Bookings at Expedia Make this the happiest Easter ever for less with up to 30% off Easter activities at Expedia. Up to 17% Off Flight & Hotel Bookings at Expedia Go away... In a nice way! Save yourself up to 17% with hotel and flight bookings at Expedia. Extra 10% Off Selected Hotel Bookings with Membership at Expedia Come join us and get yourself an extra 10% or more off selected hotels with membership at Expedia. Unlock 41% Off Selected Hotels with Flight, Car or Package Bookings at Expedia Ad onto your existing trip and save up to 41% at Expedia! Up to 35% Off in the April Escape Sale at Expedia The world is at your fingertips with up to 35% off destinations all over the world in the April Escape Sale at Expedia. Roundtrip European Flights from £79pp at Expedia Just book it! There are some amazing deals at Expedia starting from as little as £79pp. 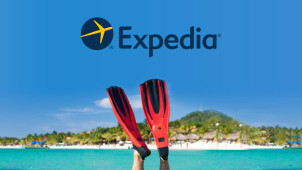 Daily Deals at Expedia - Hot Deals for 24hrs Only! Come and discover our amazing daily deals that are updated every day at midnight. You really can save a massive 70% off your booking with our daily deals at Expedia. 35% Off Selected Hotel Bookings of 5 Nights or More at Expedia Stay longer than 5 nights and save up to 35% off selected hotels at Expedia. Hotel Deals from Under £49pn at Expedia Why would anyone pay more? Get your next holiday from under £49 per night at Expedia. Booking your holiday can sometimes turn into a stressful affair, especially if you lose track of reservations from a bunch of different travel booking websites. Boycott any pre-holiday stress threatening to tip you over the edge, and book your holiday package in one simple, all-inclusive payment. It just makes sense. Plus, with savings from an Expedia voucher code, you’ll be hard pressed to find a cheaper flight and hotel deal. Not forgetting all the extra travel necessities, such as transfers, insurance, airport hotels or car hire, which are available to add as optional extras. Keeping track your budget is walk in the park when you can book everything in a one-off payment with Expedia. Go away this week and save even more with last minute holidays from Expedia. Compare flights departing from airports across the UK and add in all of the holiday extras to create your package. A late holiday deal could save you money, with package deals under £300, hotel deals from £100, and flights from as little as £100 too! How do I use my Expedia voucher code? See the discounts in your trip summary total! "Plan ahead and book your 2019 Expedia holiday activities in advance to get great % discounts and special offers! " Millions of people trust Expedia to provide their dream holiday at an affordable price, giving Expedia the power the bargain for better deals for their customers. The price comparisons also help you dig out deals which perhaps other travel agents don’t have listed on their websites. Where can I manage my Expedia booking? Simply head to the Manage Trips section online to check in to your flights, find travel insurance and much more. A student discount isn’t available on Expedia flights and holiday packages but we’ll let you know if anything changes. Contact a customer advisor should you require a refund. Sometimes we take air travel for granted. The fact that we can, on a few hours notice, be jetting off to more or less any country across the globe is pretty fantastic. That being said, not everyone can admit they’ll look forward to a 19-hour flight most of the way around the world (that’s right, NINETEEN hours). It almost makes a 47-second flight seem pointless, right...? Having been discontinued in 2013, Singapore Airlines Flight 21 became the longest regularly scheduled non-stop flight in the world once again in 2018. Cheaper fuel prices made this route viable again for Singapore Airlines, and now travellers can depart from Newark Liberty International and reach Singapore Changi Airport just 19 hours later. The return journey is actually around an hour shorter, so that’s comforting. The newly designed Airbus A350-900ULR will operate the ultralong-range service and is generally cheaper to fly (and lighter) than the previous aircraft that covered the journey - also helping to make it financially viable once again. Air India services this 9,389-mile journey from India to the USA - a route that was previously covered in just 8,264 miles. The Boeing 777-200-serviced route is now actually two hours quicker, despite travelling over 1000 miles further - the trans-Pacific route encounters drastically fewer headwinds than the trans-Atlantic journey, cutting down the journey time significantly between Indira Gandhi International Airport and San Francisco International. It does, however, mean that Air India steals the title of world’s longest flight away from Qatar Airways with a rather sneaky circuitous route. At a rather leisurely 16 hours and ten minutes, this flight from Qatar Airways’ home base in Doha covers 9032 miles in no time at all (17 hours 30 minutes on the way back is nothing to sniff at either). When a flight could set you back upwards of £1500, you’d hope it was fairly sharpish too. Flight QR920 - operated by a Boeing 777-200LR - actually crosses ten time zones during its journey between Hamad International and Auckland Airports. As of March 2016, you can fly a non-stop Emirates service from Auckland in New Zealand to Dubai in the UAE - and with Dubai’s reputation for being the perfect stopover airport with its ample connections, much of Europe is now within reach for travellers from NZ with just one changeover. The Airbus A380 is the aircraft that handled the inaugural journey, though regular ‘commuters’ will fly in a Boeing 777-200LR between Auckland Airport and Dubai International. The Dubai > Auckland leg of this journey is actually a full hour quicker, clocking in at just under 16 hours. When you’ve been travelling for the best part of a day, every hour counts. When it launched in February 2016, this route toppled the Dallas > Sydney route from the top of the tables when it came to the world’s longest flight. ... well, it was set to launch in February at least. It was delayed until March, and then pushed back further until late 2016. Another Emirates-operated route, this also made for the airline’s first Central American venture - with Panama City, Panama your final destination after 17 and a half hours of consecutive travel from Dubai International to Tocumen International. Beyond any reasonable doubt, this is the world’s shortest commercial flight. Tucked away in the heavily forested jungles of Papua, Indonesia, a British pilot called Matt Dearden operates a ‘local service’ that carries passengers over a valley that separates the two settlements. Having carried fare-paying passengers over the years, Matt officially takes the title for world’s shortest commercial flight - he even made it onto Channel 4 in August, starring in TV show ‘Worst Place to be a Pilot’. “Why on earth would I want to fly a big shiny jet”, he says. Why indeed. Okay, 47 seconds might be pushing it given that you need some pretty ideal wind conditions - but this is still the quickest commercial flight in the world. It’s also a whole lot closer to home, with Westray one of the Orkney Islands in Scotland. Serviced by Loganair and subsidised by the Orkney Islands Council, the route is also the official shortest scheduled flight in the world - and will cost you a modest £17. Flights occur every day in both directions, except on weekends. In fact, in November 2016, the route serviced it’s millionth passenger - mostly made up of tourists, as opposed to the 90 residents of Papa Westray bombing back and forth. Though a massively tedious 8 minutes in duration, this is included in our list because it’s officially the world’s shortest international flight. St. Gallen Altenrhein Airport in Switzerland and Friedrichschafen Airport in Germany are separated by Lake Constance, meaning a typical journey would be a 40-mile drive taking the surrounding roads. The twice-daily flight is serviced by People’s Viennaline and priced at just £40, and makes for a rather sweet and not-too-pricey way to take the trip instead. Another relatively tiny but still bum-achingly long journey makes our shortest flights list - because it is the shortest jet flight serviced around the world. A surprise appearance for a flight that takes over an hour - and two airports that feature heavily in the list of world’s longest flights. However, this makes the list as it’s the shortest route flown by the world’s largest commercial aircraft, the Airbus A380. The Airbus A380, for reference, is more used to flying 8000 miles - it’s actually the aircraft that services the Auckland > Dubai flight that made fourth place in our list of longest flights - and could make the journey between Hamad International and Dubai International airports 40 times before needing to refuel. Such heavy artillery is likely used because both airports serve ridiculously far-off destinations, and this is a commonly used changeover route to allow for journeys even further afield. Expedia is the world’s largest travel company, a real one-stop travel shop, where you can book the cheapest flights, hotels and things to do this year, all in one place. Compare prices and build your dream break away; just be sure to apply an Expedia discount code to get even more holiday bliss for your money! Eliminate the pre-holiday stress, and take a break away from every day with Expedia. You can get even more from Expedia by exploring the many rewards and benefits available online. Join the loyal customer programme to get special member-only prices, start collecting points and soon you’ll be able to redeem them against your perfect holiday package. Download the Expedia app and you’ll even collect double points, you’re in for tonnes of holiday bonuses! Opting for a holiday package is a surefire way to enjoy some well deserved time off. With your flights and hotel included in one great price, whether it’s an all-inclusive adventure to Dubai or a multi destination trip that you’re planning, your Expedia voucher code has got you covered. Indeed, cheap holidays that are a doddle to organise just got easier to book with vouchercloud!